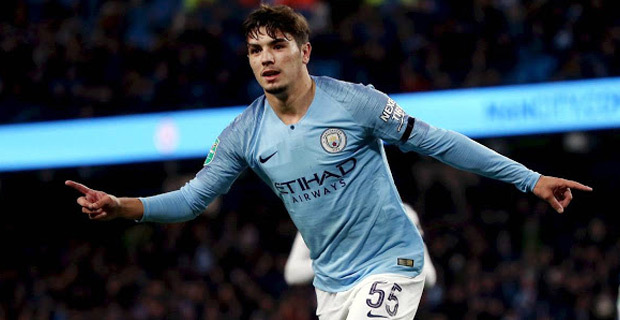 Manchester City youngster Brahim Diaz is close to joining Real Madrid for an initial £15.5M. There has been uncertainty over the 19‑year‑old's future since the start of the season. City manager Pep Guardiola previously said the club was trying to persuade Diaz to sign a new contract. However, the Blues have now accepted that Diaz, a Spain Under‑21 international, will join Real Madrid for a fee that could rise to £21M. Diaz joined City from Malaga as a 14‑year‑old in 2013 and made 15 first‑team appearances, for this season. His most recent outing came in the Carabao Cup quarter‑final win at Leicester on 18 December. Meanwhile after handing Liverpool their first defeat of the season Manchester City are second on the English Premier League points table with 50 points, Liverpool still lead in first place with 54 points and in third place is Tottenham with 48 points.